With its unseen natural beauties, historic monuments and hospitality of residents, Kefalonia is an island that can impress every visitor. From fortresses and ancient monuments to natural caves and valleys spread all over the island, it features unique attractions for all interests. Let’s visit the most significant archaeological sites in Kefalonia. The Cyclopean Walls of ancient Krani are located near the village Razata, approximately 3km east of Argostoli and are dated from the 7th – 6th BC century. They are considered to be one of the most visited archaeological monuments in Kefalonia because they are made of gigantic rocks and were believed to have been built by one-eyed giants, who according to greek mythology are called Cyclops. The ruins of the Ancient Acropolis of Sami can be found in Lapitha Mountain, over the port town of Sami. It can be reached by a series of scenic trails, which also connects a number of neighboring Roman remains. The citadel occupies the hills of ‘Palaiokastro’ and ‘Ayioi Fanentes’, whilst evidence of all types of defensive architecture and masonry construction can be found due to the extensive fortification of the ancient city, dated back to the Classical and Hellenistic era (5th- 2nd century BC). 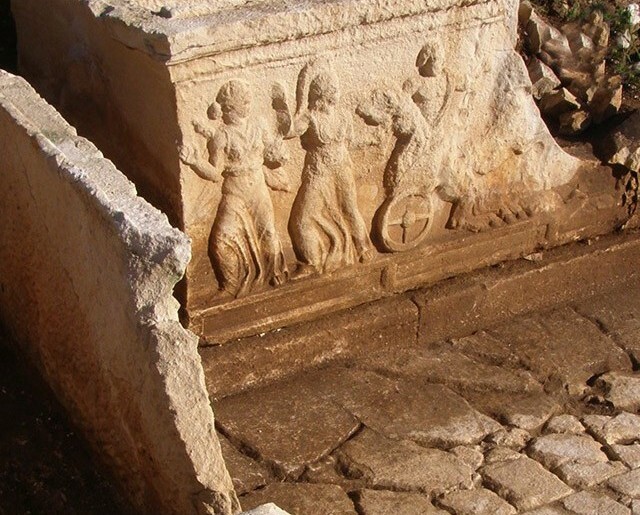 This ancient cemetery was discovered in 1908 by P.Kavvadias, an archaeologist from Kefalonia. It is considered to be the largest Mycenaean cemetery on the island so far and is located approximately 9km from Argostoli. Excavations brought to light 17 chamber tombs, which were found unbroken and filled with vessels with beautiful colors and golden components of glass. The tombs are subterranean and carved in the natural bedrock. This archaeological monument was discovered in 1993 by sea. The Roman cemetery dates from the 2nd (BC) to the 4th century (AD) and came to light by chance. Excavations revealed parts of a large graveyard, which contained two rectangular sections as well as a total of 27 tombs. The tombs show great variation in their architectural form and offerings were found inside them such as pottery and glass vases, jewellery, metal objects and coins. In 1956, the remains of a roman mansion were discovered during excavations. The Roman Villa is situated on the far southern side of the island and on the very outskirts of Skala and is well worth exploring if you are in the area. It was built during the 2nd century AD and is considered to be a type of rural villa. Six rooms have been preserved, four of which have mosaic flours whilst the sixth one is an open courtyard. One of the most impressive mosaics can be found in the second floor and it represents an allegoric picture of Fthonos, presenting himself as a young woman suffering, when seeing other people’s happiness. The villa appears to have been destroyed by fire in the 4th century AD. 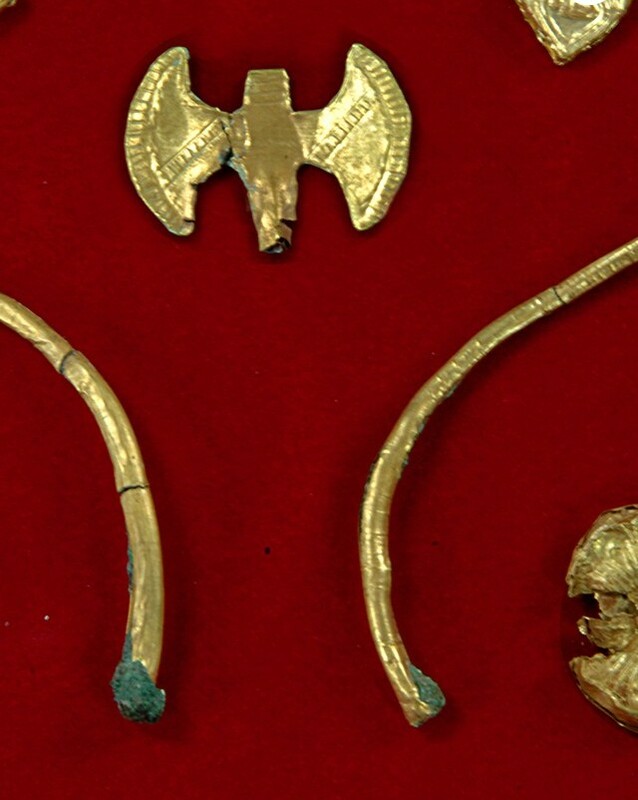 A finding of the Mycenaean civilization was discovered at Tzanata near the village of Poros. It is the largest known beehive-shaped or tholos tomb in the Ionian Islands and is unique of its kind. The tomb itself is considered to be a royal grave and golden jewellery, royal seals and precious stones accompanied the tomb and can be seen in the Archaeological Museum of Argostoli. There have been claims that this was the burial place of Odysseus himself. The tomb was built on top of another smaller grave, which had collapsed for unknown reasons.